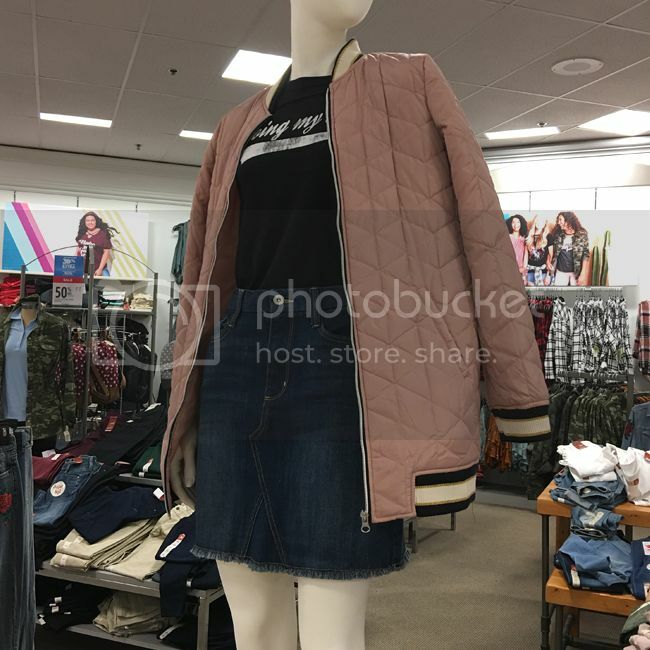 As the fall 2017 back-to-school season gets underway, I'm keeping a watchful eye on the top retail fashion trends. If you haven't stocked up on millennial (a.k.a. blush) pink, now is the time to do so. You can't scroll through Instagram for 15 seconds or take three steps into a retail store and not see this ubiquitous hue of pink. This oversized quilted bomber is a prime example. When it comes to denim, it's all about the hem details this fall. This pair pictured below has a fun lace-up design. Shop a similar pair by Topshop. Also be on the lookout for frayed hems, uneven hems, frill hems, split hems, and fringe hems. 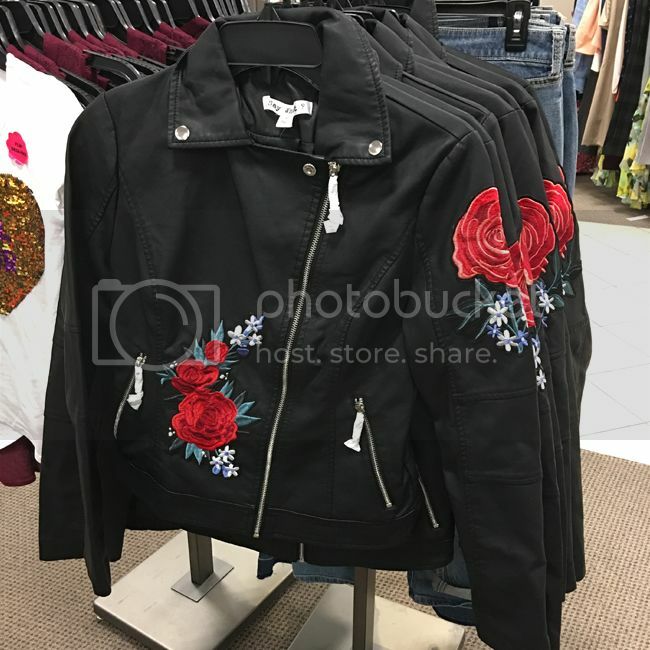 Practically everything is embroidered with roses this fall. We can thank Alessandro Michele at Gucci for this update. Below, a moto jacket by Juniors' brand Say What. When it comes to woven tops, the ruffle and frill trend remains strong. This version by Avec Les Filles features hints of Victoriana, narrow stripes, and a flattering V-shape to the ruffles. 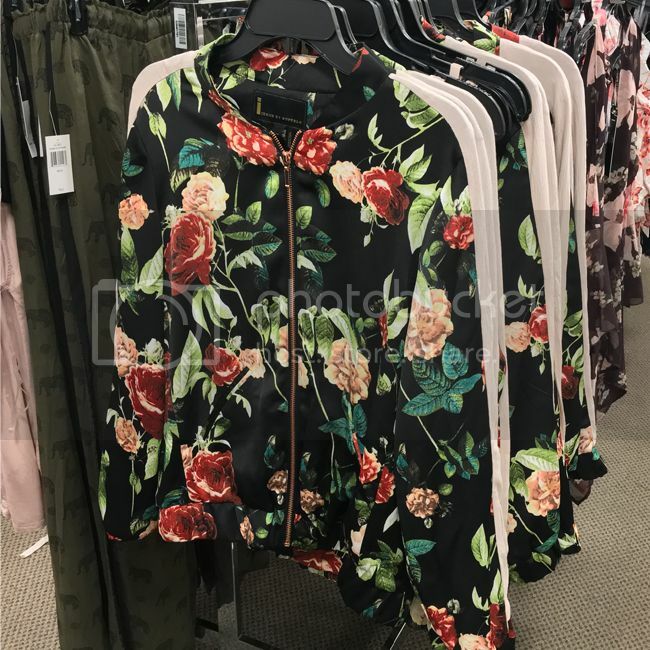 Florals get a refresh for fall in dark, painterly designs and casual silhouettes, like on this lightweight bomber jacket. Do I detect hints of millennial pink in there? 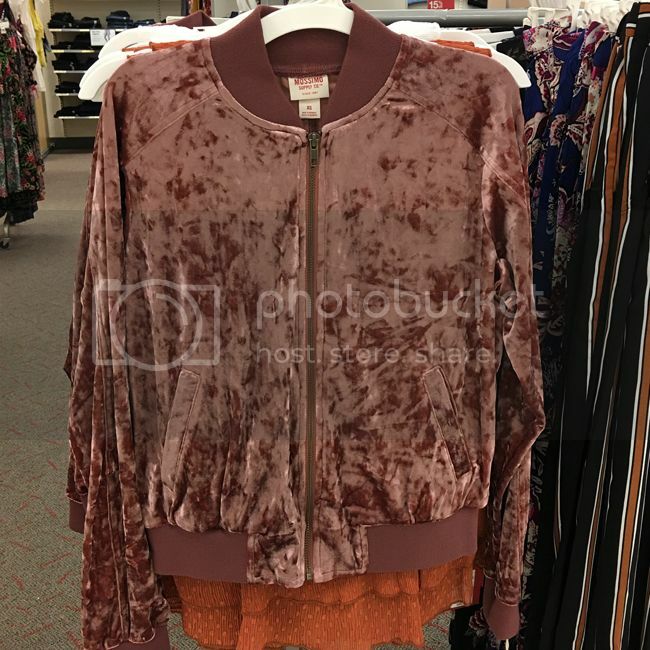 Velvet is a key fabric as we transition from summer into fall, and this duty rose jacket by Mossimo seamlessly merges the rich-looking fabric with the sports luxe movement. Off-the-shoulder silhouettes are showing no signs of slowing down. 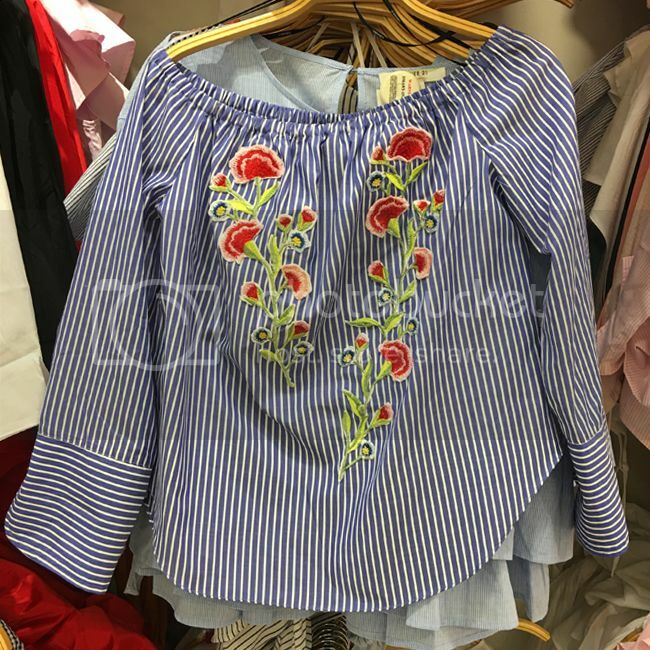 This top combines embroidery and stripes with bare shoulders for a statement-making look. Shop a similar style under $25. 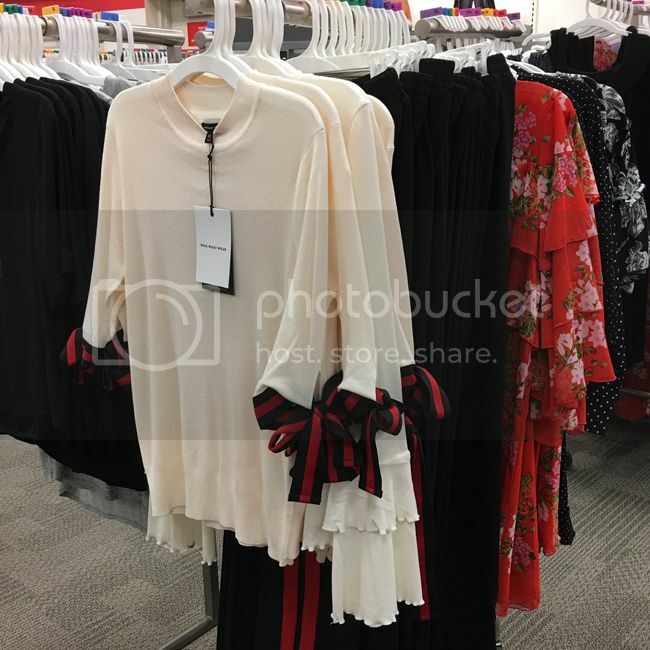 The bell sleeves of previous seasons are evolving into tops with other interesting sleeve details. Take, for example, this bow tie sweater by Who What Wear. It pair perfectly with the red stripe track pants from the fall collection. Plus, I'm getting Gucci vibes from the two-tone ribbon. 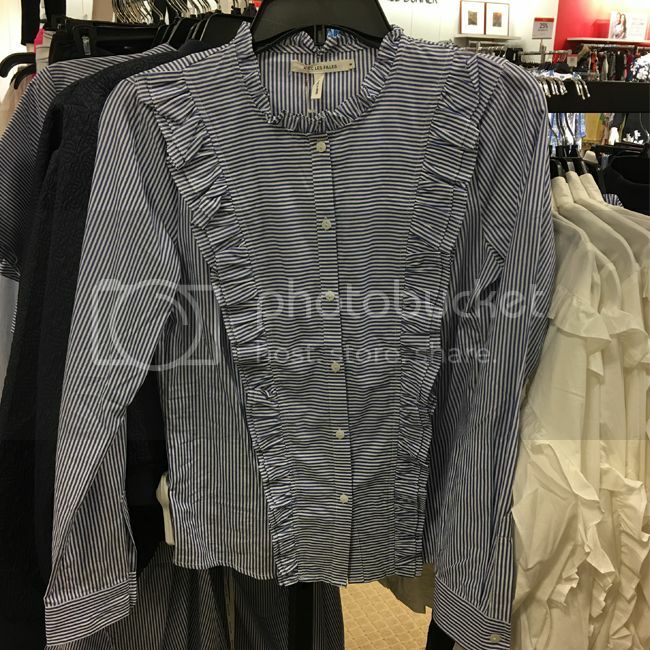 I can't finish this trend report without emphasizing the importance of frills and ruffles on blouses and dresses for fall. 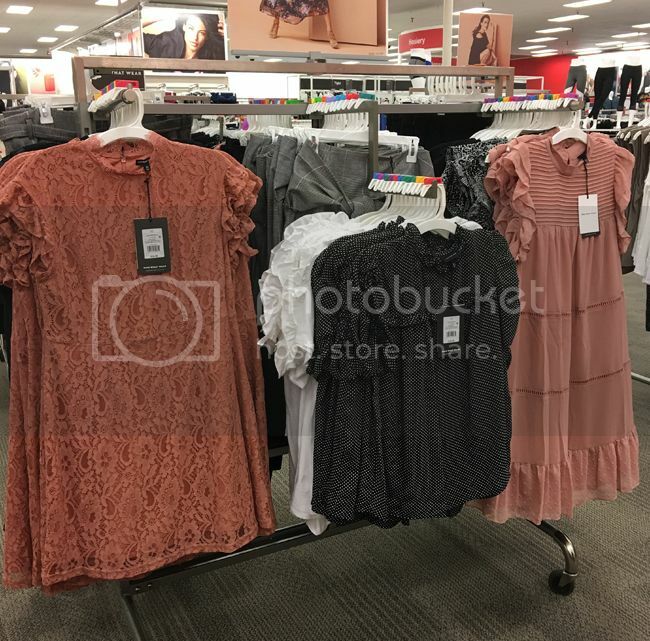 Also, note the dustier shade of millennial pink on the dresses below. This color is soft and easy to style with neutrals such as grey, ivory, and black. 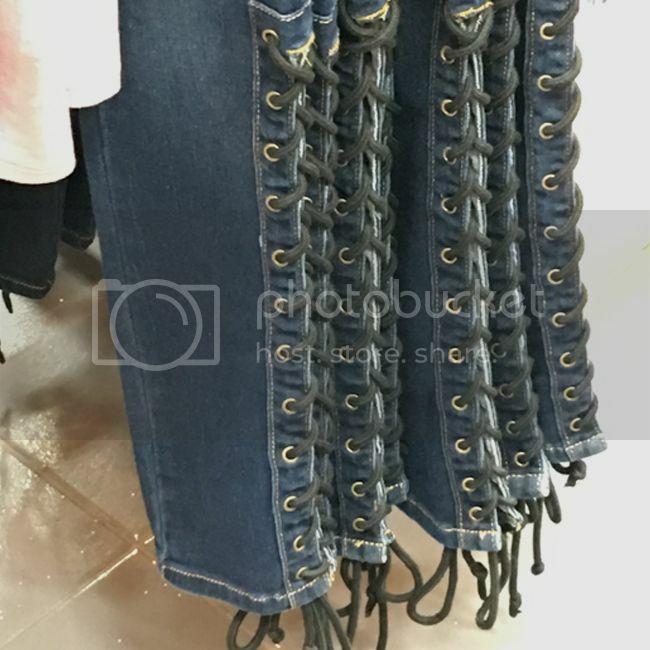 For more trend info, see my spring/summer 2018 fashion trend forecast and my 2017 denim trend report on Fashion Trend Guide. 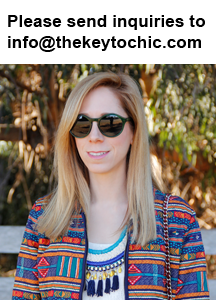 Catch up with me on Instagram Stories @thekeytochic for more up-to-the-minute fashion inspiration and updates.